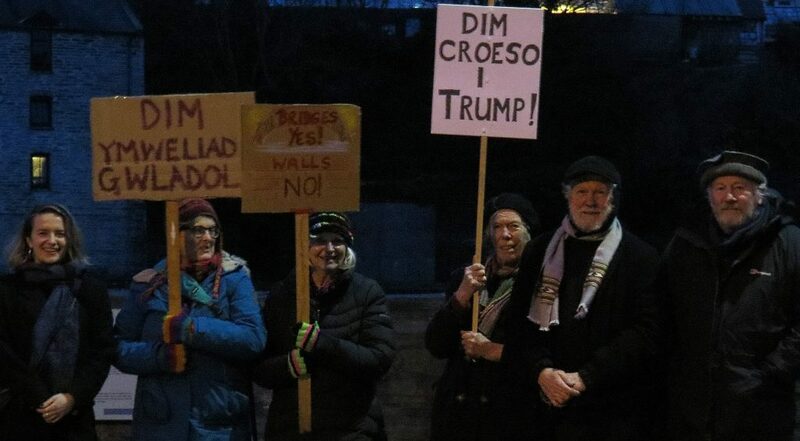 LAST night (Feb 20) a large crowd gathered on Cardigan Bridge for a protest about US President Donald Trump’s planned state visit to the UK. The protest ran alongside a Westminster Parliament debate about a petition signed by over 1.8million people in opposition to the visit. As politicians talked in London, concerned local residents spontaneously held a vigil on Cardigan Bridge. Similar protests and vigils took place all over Wales, from St. David’s through Aberystwyth to Bangor, and from Wrexham to Cardiff and Newport.